Everywhere, people face problems. No one is free from them. Problems remain unresolved or become complicated when people do not take responsibility for their lives or their actions, or disregard time tested values. One may blame the governments or the leaders for the ills of the world, but at least in democracies much of what happens or what the governments or the leaders do happen upon people's tacit consent and approval. People may ignore their own role in the decline of any country, society or religion. They may blame others, without realizing that even passivity or negligence on their part can be a contributing factor. Can anyone enter your house without your permission? Would you let garbage be thrown by others on your front yard? I think that in many parts of India people may not mind much if it happens just outside their houses, because they do not think that the earth and the country are also their homes. Because of such attitudes, the Hindu community in India is currently going through many problems. As people from India migrate to other countries, they carry along with them some basic practices and perpetuate the values associated with them. The following are the most pressing problems faced by the Hindus in India and to some extent in other parts of the world. According to a recent report about 35% of the world's illiterate people live in India. That is, one in three illiterate people in the world live there. Most of them live in the villages and remote tribal areas. Some of them migrate to the cities in search of work. Since the government hardly regulates and monitors the working conditions of poor laborers, they live in makeshift houses or sleep on the pavements in the most deplorable conditions. For them their main sources of education, if you can call it that, are Indian movies and television. You cannot expect them to practice any religion, since survival and feeding their families are their primary concern. They are also easily susceptible to conversion by missionaries who offer them economic incentives, while the educated and wealthy Hindus look away with problems and concerns of their own. With ignorance arises confusion of values, beliefs and priorities. Hinduism is a very complex religion. No one can definitely say what Hinduism really is. There are as many versions of Hinduism as there are people. How many gods shall you worship, one, ten, a thousand or millions? What scriptures should one follow, the main texts, commentaries, the sectarian literature or the teachings of gurus and saints? Is it appropriate to worship Gurus as if they are gods and build temples and shrines for them, while the ancient gods of the faith are ignored or given scant attention or offerings? Many such questions are difficult to answer because in Hinduism there are conventions, customs and practices, but no definitive standards that can be universally applied. People may celebrate the common festivals with a lot of fanfare, but it is just one aspect of religious observance and in most cases very vain and cinematic. Festivals and rituals represent the outer aspects of Hinduism. They provide people with good opportunities to socialize and generate awareness but do not do much good to their souls. A religion can save its festivals, but festivals alone cannot save a religion. Necessity forces people to live in communities, but it is difficult to make them agree to the same ideas and opinions. It should be rightly so. However, beneath diversity there must be unity so that people can largely live in peace and harmony. Hindus are probably the most disorganized, divided and conflicted society in the world today. A hundred years later, historians will probably study how for 60 years people have allowed atheistic and corrupt leaders and families to rule India generation after generation and how democracy has been degraded to such unique levels in the history of democracy itself. Hindus are divided into castes, linguistic communities, economic classes, and regional groups. These divisions and conflicts often escalate into hatred and communal clashes. Corruption is a major issue for the Hindu community. Hindus have been bribing rulers, ruling classes, and gods for centuries, but in modern India it has assumed a greater dimension. Corruption has filtered down to the lowest level and infected the society at large. Unfortunately, it is not going to go away anytime soon, because people see corrupt leaders, business people, and employees amassing huge wealth in a short time, and not being punished at all. In a corrupt society, it does not make sense to a common man to live honestly while he has to pay extra for every service. For most of them it is easier to join the looting programs rather than fighting against them. It is a huge problem, so much so that people are now bribing gods also by throwing a lot of black money into temple coffers and seeking favors from them. In most busy temples during rush hours, some people get a priority pass to see the deities, while others have to wait. It is a shame, but it regularly happens in the very presence of God. The income disparities in India are also a problem. On the one hand you have nearly 400 million people with less than five dollars a day income and on the other you have a consumer market that wants to push products at the same prices for which they are sold in the western countries where the per capita income is in the range of $40,000 to $100,000. Hinduism places a lot of importance on righteousness (dharma) and morality. The theory of karma implies that if you engage in evil actions, you will suffer from the consequences. The Bhagavadgita is all about cultivating purity (sattva) and manifesting divine qualities. All the scriptures emphasize the importance of selfless living, so much so that even using the mind and body for selfish purposes is considered evil. If you examine Hindu society today, people mostly follow the evil qualities enumerated in the Bhagavadgita rather than the divine qualities. They live very selfishly and pay little attention to the problems of the poor and the backward castes. Will Hinduism survive until the end of this century? Two likely outcomes are possible. Hinduism may become a dominant world religion as more people from different parts of the world becomes its ardent followers, or it may decline and end up like Buddhism as a religion with limited appeal. A lot depends upon how the world shapes up in future and how further inventions and innovation in the field of science and technology will have an impact on the world and the survival of the planet. Those who are familiar with the history of Hinduism know that it has great tenacity and resilience. Hinduism and its sectarian traditions withstood many challenges in the past and may continue to do so. As civilization progresses, future generation of Hindus may stand up to the challenge and initiate several internal reforms and further consolidation of its tenets and practices, which may build up some rigidity in its doctrine and structure, but may make it stronger and resistant to external threats. Alternatively, if they fail to save it, many things can happen. The following are the most likely scenarios if Hinduism loses its appeal or fails to adapt to the changing world. If Hindus fail to uphold the core spiritual values of their faith and resort to rituals and superstitious practices, which constitute its lower knowledge (avidya), Hinduism will most likely weaken from within and in a hundred or years or so it may lose a sizable following. Certain sections of Hindus such as the upper castes and privileged groups may remain committed to it and patronize it while the rest may turn to atheism, communism, decadent lifestyles or other religions. 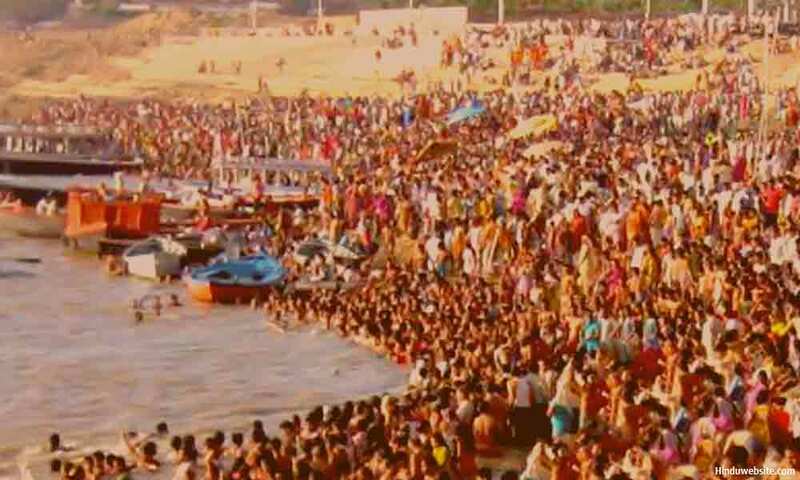 If the economy fails to improve the lives of people, especially those who are poor and underprivileged, educated Hindus may continue to migrate from India to other places in search of better living conditions, eroding its strength further and contributing to its decline. Due to the large-scale migration of Hindus, Hinduism may survive outside India in different parts of the world and gather strength. However, in the process it may develop further diversity and complexity as it adapts to the local conditions and develops distinct beliefs and practices that are specific to the region or the country. The process will be similar to what happened in case of Hindu communities in countries such as Fiji, Mauritius, Nepal, Bali and Cambodia. Those streams of Hinduism may contain its core values but may be different from the one which is currently practiced by the majority. The descendants of the migrant Hindus who grow up in distant lands, with little or no emotional connection to India, will have a different mindset and attitude towards their religion and may be influenced by the cultural trends and lifestyle choices of the countries in which they live, which will in turn affect their religious beliefs and practices. Hindu gurus will continue to dominate Hinduism and contribute to its popularity both at home and abroad. They may build large personal empires with vast fortunes and exert great influence upon the progress of the religion and the community. At the same, they may also impart to it their own distinct brand identity. Going by the current trend, many Gurus may not even like to call their teachings Hinduism to avoid being discriminated against or prefer to incorporate teachings from diverse faiths to attract followers and patrons from other religions. Such strategies by the Gurus will weaken mainstream Hinduism and undermine its influence, while they may gain prominence and further influence as champions and messengers of their own version of spirituality. It is important to remember that these scenarios emerge, if Hindus collectively fail to save their faith from disintegration from within and attacks from outside. Therefore, in these changing times, there is a huge responsibility on their part to prevent such possibilities and strengthen Hinduism so that it can march into future with greater strength, determination and following.